What is Laravel PHP Framework? For every PHP Developer Laravel is not something new, and for the whole web development community as well. This article is for those who still haven't heard about it or just begin study Web Development. CRUD is one of the first things I've learned about Laravel. When I came to understanding what it is and how it is powerful I decided to become a developer. Really, all the opportunities I saw with it was just WOW for me. Of course, it was just the beginning. CRUD is Create, Read, Update and Delete. You can implement this system of different functions to deal with any object. You can Create it, Show this object, Update and Delete it. Laravel Controllers handle functions such as CRUD for example. 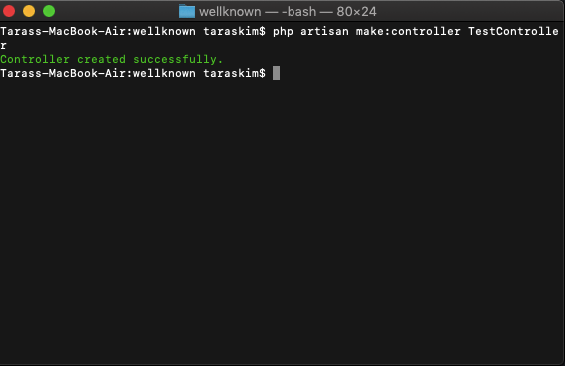 To create an empty controller you need to type: php artisan make:controller TestController, for a CRUD controller type: php artisan make:controller TestController --resource into the console. With CRUD controller command Laravel creates index (display all your objects), create (display create page), update (function to add data from create page to the database), show (display single object), edit (display edit page), update (function to update data from database of the object) and destroy functions. For every Web applications, you have to create a database with all tables and rows with data in it. With Laravel is simple as much as you can imagine. 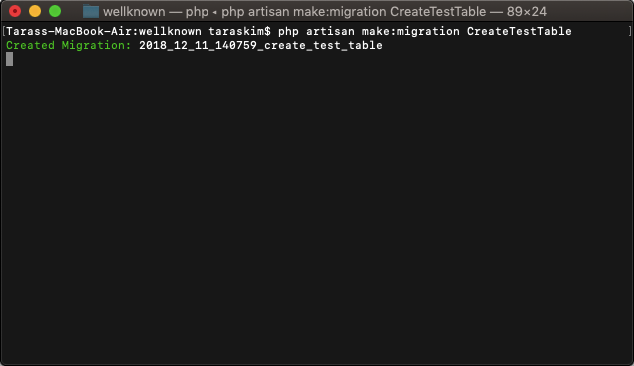 Use: php artisan make:migration CreateTestsTable and table created! Then you have to add any fields you want (id and timestamps created on default) and type: php artisan migrate .Your table in Database created! Database information such as Host, Username, and password enters in .env file. It's another beautiful thing about Laravel. if you never heard about databases and relations between tables it will be difficult for you to understand, but if you did, then you will be amused about how easy it is to build relations in Laravel. Is a powerful tool, that helps you create email, push, database, and even slack notifications. Anything you do with your object, you can notify user or users about it. Simply type: php artisan make:notification Test and your notification will be created. There are a few more things you have to enter in Controller and in Notifications, but it is really simple to learn. There are a lot more in Laravel: routing, sessions, validation, jobs, scheduling, hashing, broadcasting, API requests and more. We here at WellKnown Agency build any type and difficulty applications with Laravel, and so far we haven't encountered such a problem that Laravel couldn't solve.